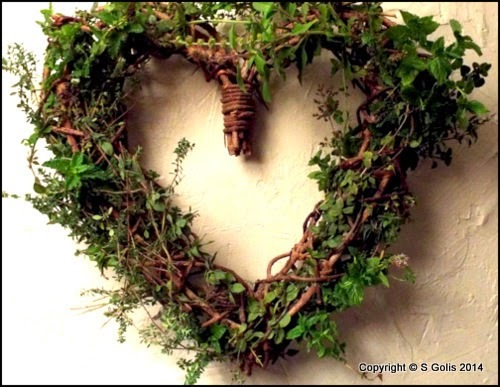 If you enjoy working in your yard and garden then you have come to the right place.I share with you tips on growing flowers and herbs, designing specialty gardens, and ideas on ways to improve your curb appeal, Also product reviews and recommendations. 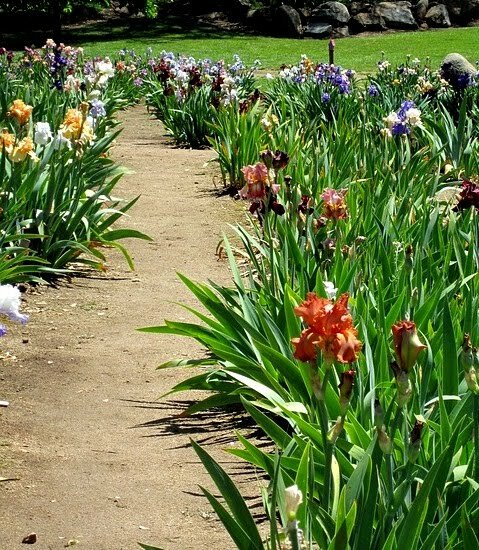 Today I worked in the yard and garden by pulling the crabgrass and chickweed from the backyard irises I had weeded the bed in the fall but suspect that the leaves that had fallen onto the garden over the winter caused the weeds to grow in the spring. Due to the rainy weather, the weeds grew in thickly and my husband would like to use a chemical on the crabgrass and chickweed but I do not recommend using a chemical weed killer or a natural weed killer like Vinegar, salt and dawn dish soap in the yard or the gardens. 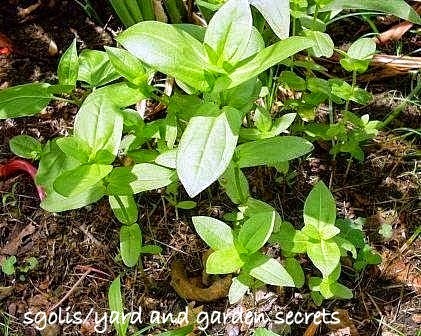 It is best to keep those products away from your flower beds. Even if they have a safety cap to spray only the weed, the liquid seeps into the soil and can kill your flowers from the roots. Know that at first I was overwhelmed because our flower garden is quite large. But made up my mind to remove the weeds by hand-pulling them. It took me three and a half hours to complete the backyard irises. Then my husband and I stood at the front of the garden and admired the clean weed-free appearance. 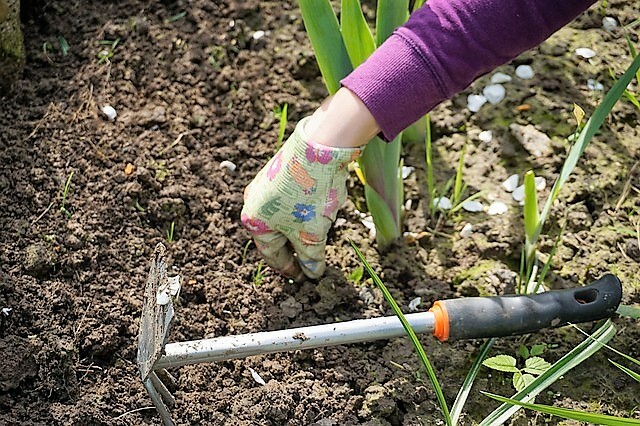 Gardening is good for you because it makes you feel good. Weed a garden bed and your stress will go away. Plant a container garden and you will feel calmer and happier. Its been a long winter and we have been indoors a lot. We keep ourselves busy when we are home by planning our spring and summer gardens but it is not the same as being outdoors with our hands in the dirt. My husband was feeling SAD last week and I suspected it was due to another snow storm and too much time spent indoors. So to put a stop to my husband feeling sad I grabbed pots and soil from the shed and we planted seeds for an indoor garden. In no time we were talking and laughing and our entire mood had improved. This is why I say that Gardening is a natural cure for SAD. For me, a day in the garden is a natural way to eliminate any anxiety or feelings of sadness. Working with your hands in the dirt is the best natural antidepressant. There have been studies done on how dirt effects people. Did you ever notice that gardeners overall are happy and calm? The findings in the study showed that the bacteria Mycobacterium vaccae is found in dirt and it will mirror an antidepressant. I guess dirt is a natural form of Prozac. If you are having an off day, feeling sad or just in a mood then maybe you should plan to spend the day in the garden. 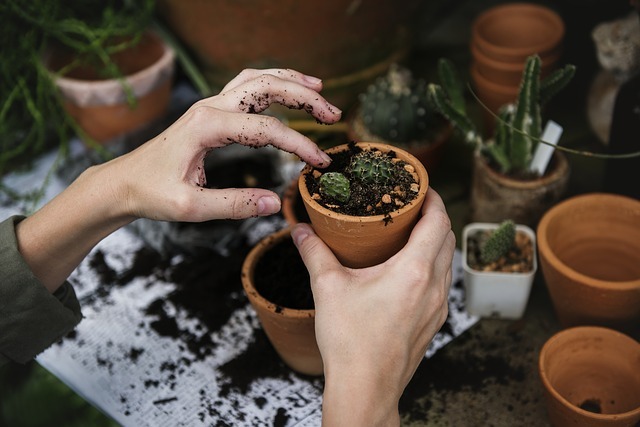 If you do not have a backyard then you can shop for a container and potting soil so that you can plant and grow a flower, herb or vegetable garden. Red Poppies are a vibrant flower that can be grown as an annual or a perennial. This showy flower looks wonderful when grown in masses with other wildflowers in an open field or large garden area where you can enjoy watching butterflies. A few years ago I bought wildflower seed that was formulated with partial shade flowers. To my surprise, the red poppy was mixed in with this seed. I planted the seed in early spring (end of March) as it was in the time period recommended on the seed packet. 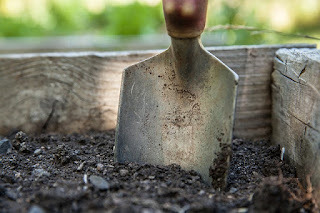 (March-May) The seeds were sowed on turned over soil that was amended with organic matter. I did not cover the seed with soil. 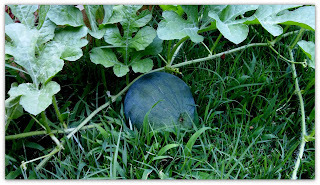 I watered the seed after planting then daily until the flowers were established in the garden. Then I watched to make sure the flowers did not dry out and watered the flower garden as needed. 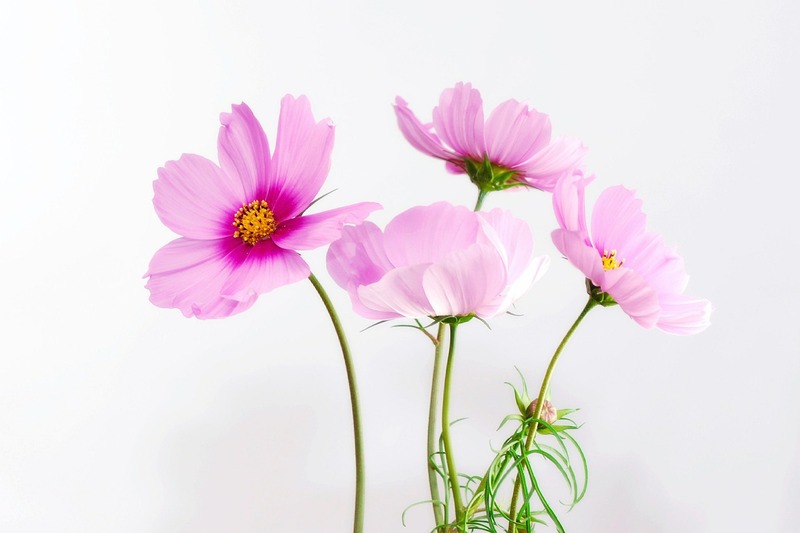 Be careful to not over water as this flower does not grow well in soggy soil. 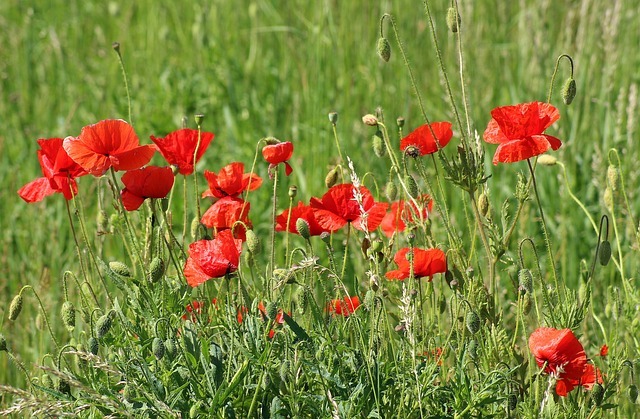 When fully grown your poppy will form a clump and the flowers will be 12 to 14 inches in height. My poppies bloomed in June and continued to provide my garden with color for four weeks. If you reside in an area that has deer know that they will leave this flower alone. The poppy flower is beautiful when grown in masses or in a small garden. This flower does attract butterflies, hummingbirds and honey bees. 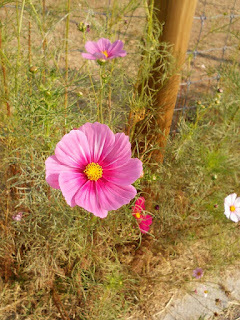 So you will want to plant and grow where you can enjoy viewing the flowers and the wildlife. 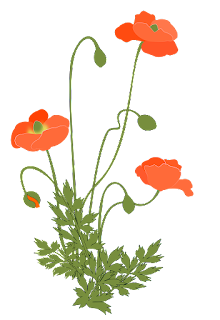 Poppy flowers do not last long when they are cut for a floral arrangement or in a vase. On average they will last for the day but no more than 8 hours. You can try a fresh cut on the stem and fresh water and they may last a little longer. 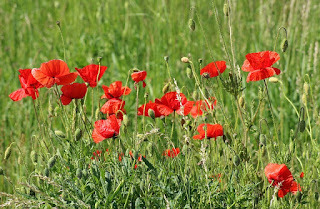 Fertilize poppies in the spring. 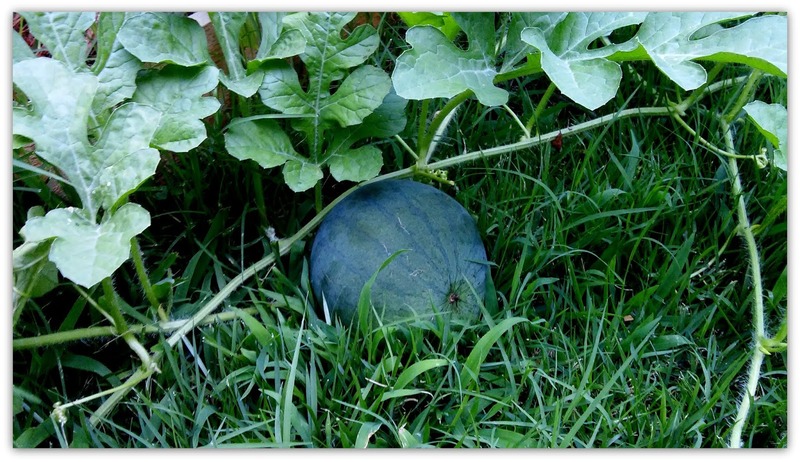 Use an organic fertilizer that is applied to the soil around your plants. You can cut back the poppy flower when it dies off or you can wait for the seed pod. If you like flowering shrubs that bloom in the spring then you should grow the Forsythia. This shrub is not fragrant however it does produce branches that are covered with flower buds in late winter/ very early spring. This flowering shrub is the first to bloom in my yard. When the buds bloom the bright yellow flowers are so cheerful. This showy flowering shrub can be grown as a hedge, free-standing accent plant or a foundation plant. This shrub is long-lived and the flowers can be cut for lovely centerpieces for your home. 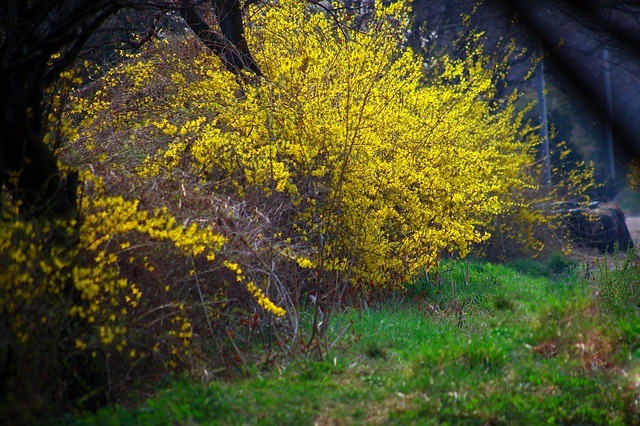 If you plant as a hedge plant the forsythia six feet apart. I grew up with Northern Gold Forsythias in my backyard so when I moved back to the Midwest I planted this shrub in my yard, I joined an organization and received two bareroots that were four inches tall. The shrub took years to grow and to produce multiple branches. Of course, that was 8 years ago and now my forsythias are mature. My shrub is 10 feet in height with a similar spread. Growing wild forsythia should be pruned after the spring bloom to keep in shape. Forsythias are not hard to grow, as long as you plant them in full sun (at least six hours daily). 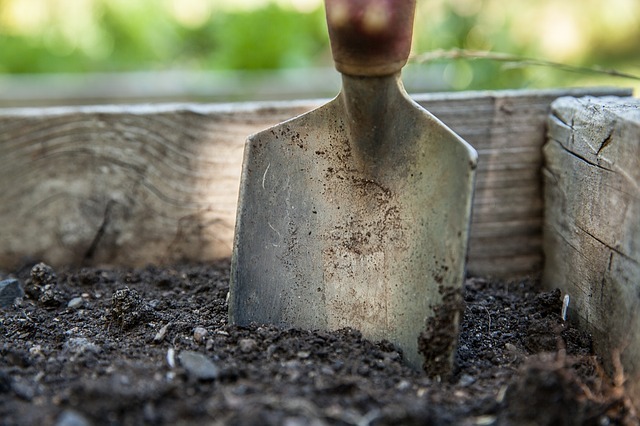 Choose a growing site that has well-drained soil. I recommend growing this flowering hedge where you can enjoy seeing the showy flowers. To prevent this shrub from getting out of control you would prune in the spring after it has bloomed. If you prune in the summer or the fall then you run the risk of having fewer blooms the following season. 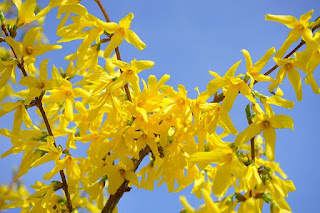 There are many varieties of forsythia some grow best in cold climates others are hardy when grown in zone 3 to 9. 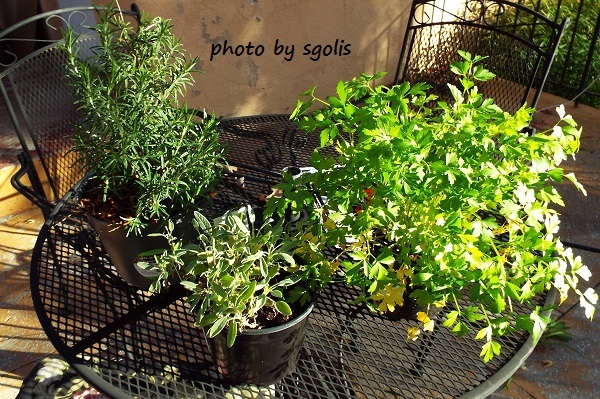 Today we worked in the garden by digging up herbs and transplanting them into containers. We always bring our culinary herbs indoors to enjoy them throughout the winter months and think it is best to bring them in before the weather turns colder than 60 degrees. 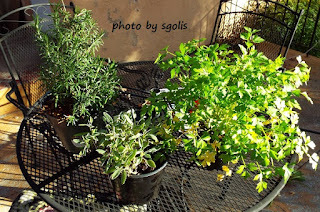 Herbs are heat seekers and when the days and nights turn cool the plants are stressed. We transplanted Rosemary, Sage, Oregon Basil, Peppermint and Parsley today. 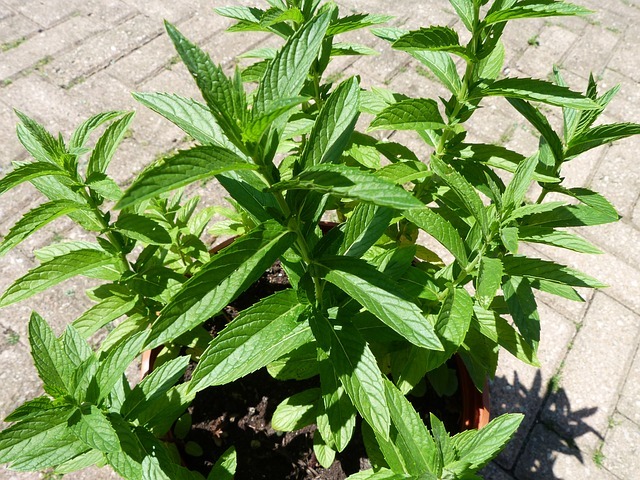 But before bringing the plants indoors we sprayed all with Garden Safe Neem Oil Concentrate. Neem oil is an organic way to get rid of a variety of garden pests; aphids, whiteflies, powdery mildew, and spider mites. It is best to treat your plants with the Neem oil solution a day or two before bringing them indoors. It takes approximately 24 hours to get rid of the pests on your plants. Neem oil organic concentrate is easy to use because this natural product is mixed with water before applying with a garden sprayer to your plants. Spray your plants, saturate them with the pest control. Then wait a day or two before bringing your transplants indoors for the winter. Note: Oil does not mix well with water so you need to shake the formula often before and during application. Learn more about Neem oil by viewing this video. 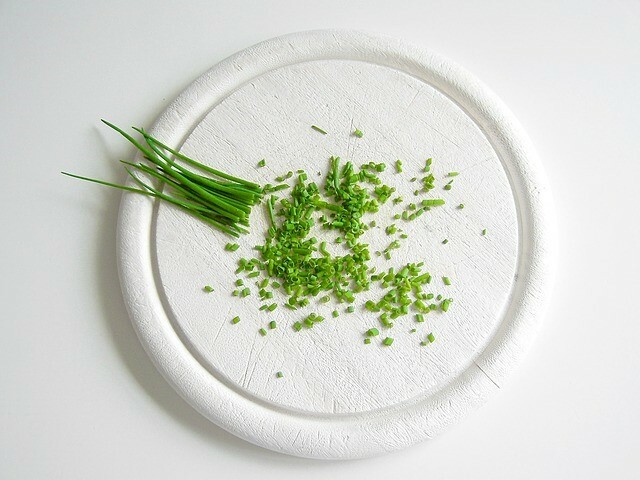 Chives are a delicious perennial herb that is in the onion, leek and garlic family. You can grow chives outdoors and indoors in a container as long as it gets ample light in a room that has good air circulation and the soil does not dry out. 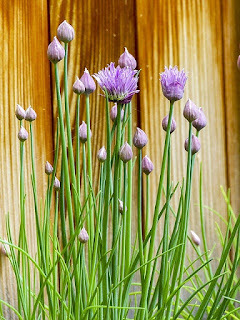 Start the chives outdoors in the ground or in a container. 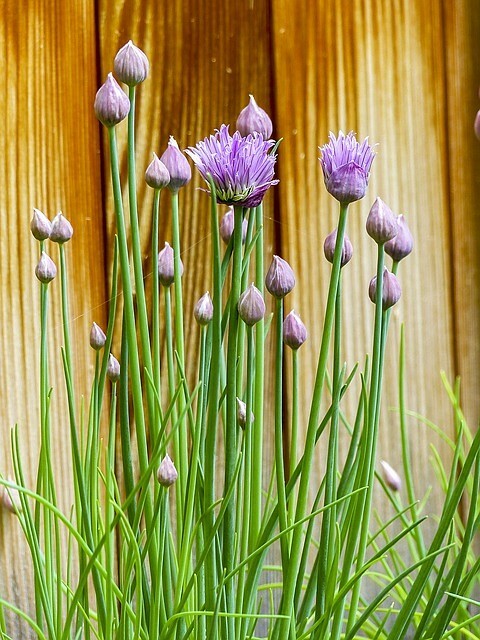 The chive is easy to grow from a bulb or you can plant by sowing seeds in the spring. When fully grown chives tall sword-like leaves will reach the height of 10 to 12 inches. When planting it is best to grow a clump of chives in a container or the ground and I recommend planting 5 or 6 bulbs so the plant can grow into an attractive clump. When it comes to planning the gardens and landscape I usually do all the drawings then my husband will help me with the labor. My spouse is someone who would rather watch the garden shows on TV than actually go out in the yard and create a specialty garden or plant a tree. However, if someone asks him a question about gardening he will give an expert opinion. 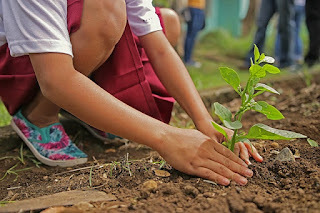 Overall I like my husband helping me in the yard and garden but that is not to say that he does not get under my skin when he disagrees with me on how and where to plant trees. A few years ago we both agreed that our landscape needed some shade trees plus we liked the idea of having a wind block in the winter and shade in our yard in the summer. We decided to plant oak trees. I wanted to plant the trees 20 feet apart from each other and 15 feet away from the house. My husband wanted to plant the Oak trees in a row; 8 feet from the house and 12 feet apart. 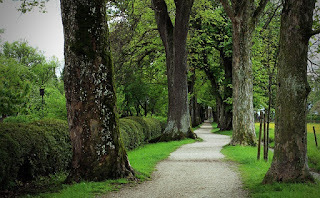 I disagreed because an Oak tree needs room to grow and if it is grown too close to your house the branches will constantly need to be trimmed and the roots will grow into the foundation. Besides trees that are grown too close to each other are competing for sun, water, and soil nutrients. Too close means an unhealthy tree. So we disagreed about how many trees should be planted and where they should be planted. If my husband thinks that he is right about where to plant the oak shade trees; in a row, 5 feet from the house and 8 feet in-between the trees, then nothing I say will convince him otherwise. He has his mind made up that these trees will provide a wind block in the winter and aid in conserving energy in the summer. Whenever my husband and I disagree I make a point to convince him otherwise by going with him to the tree nursery. Once there I will seek the tree expert and ask him for his assistance. This is the best way for me to put an end to a disagreement. 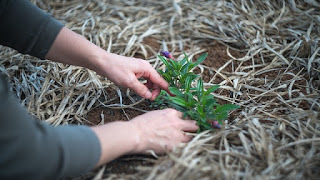 If you have a husband like mine then ask the tree expert, master gardener or another garden expert for planting tips. Your husband will know then that you were correct, and instead of arguing with you he will heed the expert advice on planting. Know that I won the disagreement because the tree expert confirmed what I said was correct. He was diplomatic and did not say your wife is correct, he just repeated what I had said. My husband knew I was right and he will never question me again about planting trees, but he will never admit that I was right because it’s a “guy thing”. Learn more about growing Oak trees. Where I reside we harvest Johnathan Apples in early September to October. These apples are by far the best for eating fresh from the tree to baking your favorite apple pie. Picking apples is a fun activity for families here is a video that you may like. The apples to ripen will be located on the outside on the southern side of the tree, then they will ripen inward to the center. So your first harvest or early harvest will be the apples that are exposed to the southern sun. 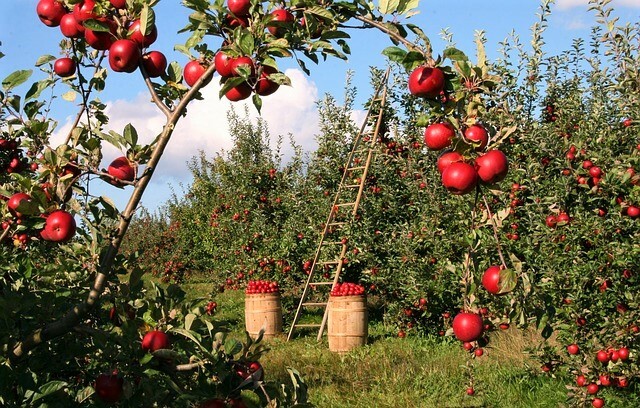 As a kid, I used to harvest apples with my dad so that my mother could put up apples for jam, applesauce and for pie. Harvesting apples is a fun thing to do on a sunny afternoon as long as you have the right supplies. Burlap sack that you wear around your shoulder to hold the apples. Durable gloves to protect your hands. Set the ladder up close to the trunk of the tree and make sure that it is on level ground so you will not fall. 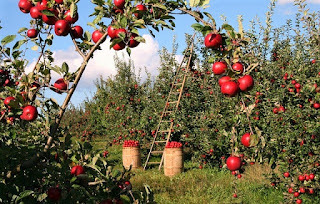 Climb to the top of the ladder or as high as you need to be to harvest apples from the branches. When your apples are ripe, they should be fairly easy to pick from the tree with a simple upward twist of the apple. If the tree is heavy with apples you may be able to stand on the ground and reach up to harvest the apples. As a rule, we will pick almost ripe and almost ripe apples from the tree because you can put them in cardboard boxed or large paper brown bags to store in a cool place (60 to 70 degrees) and the apples will ripen. The weather here in the mid-west section of USA has been brutal this summer. We are an average of 20 degrees hotter for this time of the year and it makes gardening difficult because many of the seedlings were are not established before the heat wave. I had planted annual flowers, herbs, and vegetables during the spring seasons. But that season was about two weeks prior to the intense heat. The average temperature from June through July was in the high 90’s with the heat index at 105+. When the weather is this hot too soon in the season the only thing that you can do is try your best to keep your new plants and seedlings hydrated. I went through my three 50 gallon rain barrels very quickly because there was no rain to replenish them. Along with the high heat, our summer was dry and water was at drought status. We were on a water restriction which means I could not water my plants including vegetable daily, instead, I had odd days that I could water the morning only. On the days that I could water, I did set a slow-drip soaking hose on a timer and this hose runs from 5 to 9 AM. I never watered the gardens in the heat of the day because the water would evaporate. I watered my container plants including peppers and tomatoes with recycled water from our home. Collecting the water from the bathtub to put in the water barrel is a tiresome and time-consuming job. On average I worked a good hour on this task each and every morning. Sometimes in the afternoon if there was a water source that I could use. All bath water was collected to water the container plants and by doing this I was able to keep these gardens hydrated during the summer drought. 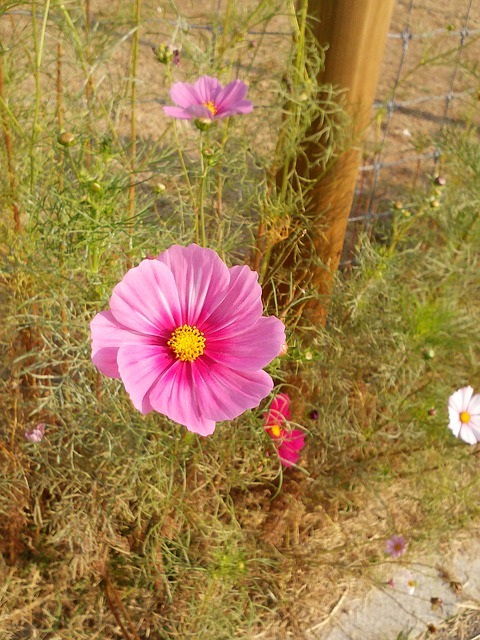 In spring I planted 5000 zinnias and cosmos flowers and only a few survived the drought. It is safe to say that it has been a long hot summer and that I am looking forward to the cooler days in fall when I can plant chrysanthemums and other fall season flowers. A few years ago my brother gave me a Hibiscus rose of Sharon When he gave me the plant it had a few blooms and many buds. I was delighted to have the pretty pink flowering shrub but was worried because he had given to me on the first day of July. It was past the time that I plant, the days were long and hot and certainly not a time to be planting a hibiscus, or so I thought. I thought chose a sunny garden area that had six hours of morning sun, partial shade in the heat of the day and three hours of late afternoon sun. I was hoping this would agree to the hibiscus because my yard is primarily shaded. I planted with amended soil and a root stimulator. Then I set up a soaking hose on a timer to water the hibiscus in the morning and mid-afternoon. The soil did not dry out and the sun did not burn the leaves. On the first year, the This rose of Sharon bloomed all summer and well into the fall. On the second year, my hibiscus bloomed mid-July through the warm months in fall. Hibiscus is a wonderful addition to any garden because the large exotic flowers will continue to bloom when other flowers have ceased. the hibiscus will be put on a flower show for you to enjoy. A mature hibiscus will grow upright to six feet with a similar spread. 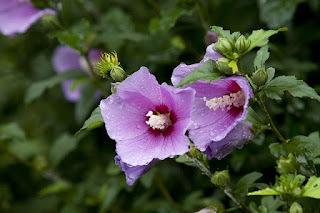 You can grow the hibiscus as a feature plant or plant a few to create a flowering privacy hedge. Shop for the hibiscus rose of Sharon in a variety of flower colors, you can choose from white, pink, lavender, and a gorgeous red. There are also hybrid colors which are a mixture of two colors. In accordance with the Federal Trade Commission's 16 CFR § 255.5: Guides Concerning the Use of Endorsements and Testimonials in Advertising. I sometimes earn if you click on Google advertisement. I also earn from Zazzle products when they are purchased.